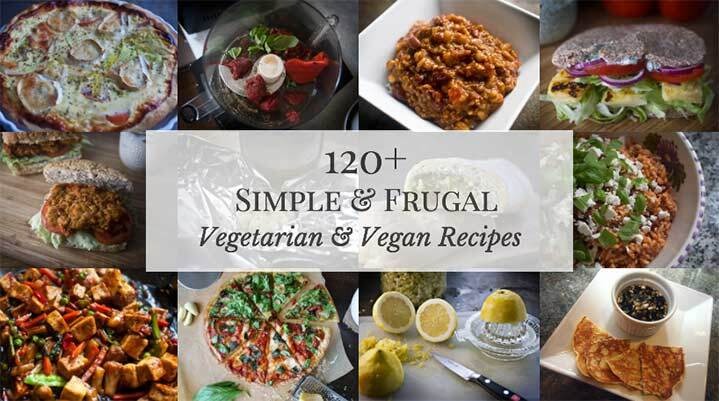 Since 2009, I’ve shared over 120 simple and frugal vegetarian recipes on Sage & Simple, many are also vegan recipes. They’re some of my all-time most popular blog content, but as some of my readers have pointed out, this treasure trove of simple and frugal vegetarian recipes is buried within 8+ years of other stuff and they’re difficult to search. I hear you. And that’s why I’ve organized and categorized my vegetarian and vegan recipes to make them easier to browse. It was fun looking back at how my cooking (and photography) has evolved from Connecticut to Denmark and throughout my travels. I rediscovered some recipes that I’d forgotten about, and was able to add helpful cross-links, so that for example, now you can find a spicy red sauce to go with your falafel with bulgur, or maybe you prefer falafel with breadcrumbs instead, or maybe you want to freeze your falafel but don’t know how. I’ve always had a busy career and Denmark has one of the highest costs of living in the world. My cooking style reflects this in the many simple and frugal vegetarian recipes that I’ve shared on my blog, and a whole lot more that are still yet to be shared. 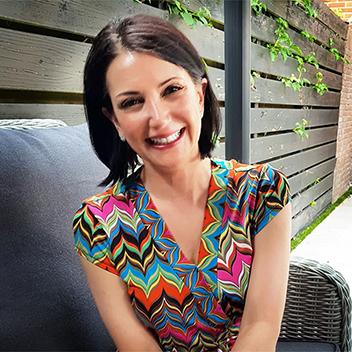 With few exceptions (i.e., a few recipes that use TVP, ethnic ingredients, or packaged taco or fajita seasoning), I cook entirely from scratch using whole foods and basic ingredients that are widely available. You can see my newly categorized archive of 120+ simple and frugal vegetarian and vegan recipes here or by clicking on the “Recipes” link in the top navigation. You’ll find veg-friendly adaptations of omnivore favorites like bacon, buffalo chicken, Philly cheesesteak, pulled pork, General Tso’s chicken, and meatballs. There are also lots of delicious cold weather one-dish meals like red lentil dahl, mushroom soup with brown rice, and vegan chili, and things to make on the grill like this summer vegetable sandwich with feta and aioli, halloumi pitas, and these portobello burgers. I also share recipes I’ve picked up in my travels like this quiche recipe that I learned from my Parisian friend, a Greek grandmother’s tzatziki recipe, the bruschetta recipe that I learned in Bellagio, and the Pad Thai recipe that I learned in Chiang Mai. Pinned! Thank you for doing this :D !!!! Saving this post for later. We are looking at our back to school menu plan and I want to add some of these to our menu. I think my kids would enjoy most of them and they all look amazing. Thanks for the inspiration. My nieces went vegan last year, and I wish I would have had this catalog of resources to draw from for when they came over! I love the way you’ve organized it! Pinning for later! I really like the way you’ve organized the recipes on your site, and appreciate that you’ve highlighted a few for your readers. I’ve been in need of some culinary inspiration as of late. I’m excited to try the Philly Cheesesteak (for him) and the summer veggie sandwich with feta and aioli (for her) Yum! What a great inspiration for future lunches! My favourite section is the soups, I’m always looking to try new ones. I have cooked Turkish Green Lentils Soup, as I’m living in Turkey for the past two years. Here they are blending it into a cream soup. So delicious! I’m Seventh Day Adventist so we have a lot of vegetarian friends. It’s good to know there are so many recipes that don’t have to break the bank. I really love this list. I like that it also doesn’t look bad for vegetarian food. They all look so hearty! I love that you have compiled your recipes! We do eat meat, but not a ton and I love to have some great vegetarian options to look to. I also like that you made these frugal recipes since budgets can be tight, yet we can still eat well if we know what to look for! Frugality is a must in Denmark! The price of meat is out of control (just like most other things) so it’s convenient that I’ve been a vegetarian for more years than I haven’t. I’m definitely saving this to refer back to over and over. I’m trying the Philly Cheesesteak soon. This is a great resource, now I’ll have recipes to try for weeks! 120 recipes?! Oh my… you’ve been busy. I’m always looking for good vegetarian options so this is definitely a list I’ll have to turn back to. Thanks for taking the time to do it! Wow! Look like this truly is the treasure trove of recipes! It’s amazing how much cheaper we can make our meals when we cook from scratch. I can’t wait to look through this and find some new favorites! Oh I am very pleased to see this post. I am still new to cooking and in search of good recipes and of course those that will fit our budget and are healthy. I am going to try the Pad Thai recipe since it became my favorite after visiting Bangkok! I still can’t believe how those Bangkok street vendors can turn out such delicious Pad Thai for around $1. It’s still the best Pad Thai I’ve had anywhere, including fancy Thai restaurants in Europe and the States. I love the new way your recipes organized and easy to browse. My family and I are not vegetarians but we are open to try other delicious dishes and these recipes look so good, we won’t miss our meat! A lot of people would say that being vegan or eating healthy and or organic means more money. I beg to differ because of guides like this that other bloggers post. It’s possible to be healthy and still live under your budget! I love that you shared so many recipes with us too! Thanks for this list! You’re right, that perception is just not true! Being a vegetarian and cooking mostly from scratch has saved me thousands of dollars over the years, not to mention the long-term health benefits and the ease of maintaining my goal weight. People can’t believe how little we spend on food, but cooking whole foods from scratch is actually quite inexpensive once you learn how to do it. My other half is always wanting to cook more vegetarian and vegan meals. The bacon and buffalo chicken recipes sound as though they would be really good to try. Eating meatless more than once a week is a goal we want to achieve for our family. I went vegan back in may and I’m always looking for new tasty (and easy) meals to make. Sometimes, it’s hard finding something to eat when everyone around you isn’t vegan. Thank you so much for these recipes! I will be pinning them! I am not vegetarian but I am seeing some recipes worth drooling over. My hubby would enjoy the halloumi pitas. I want to try the red lentil dahl. Wow! This is quite the resource of deliciousness. While we are not vegan or vegetarian, we often do meatless meals several times a week because of their versatility and for health reasons. I’ll be pinning this to refer to for sure. Thanks for organizing this so well for reference. I am definitely saving this. I need to add more meatless meals to my lineup. These all seem like they would be a great place to start. This is a great list! I am not vegetarian but I would love to make more healthier meals. This is great for health conscious people! These look delicious-great finds! I love to eat meat-free whenever possible. I’m not vegetarian, but I try my best to keep meat to a minimal to help the environment and be healthy-so a good meatless recipe is fantastic to have on hand. Thank you for this, Sage — even if I’m not back to take part of this remarkable offering. If you want to blog even if it is not financially rewarding (? ), then continue to blog. Consider it very frugal form of pyscho-therapy! Oh, dear! I feel like your grandmother!! !